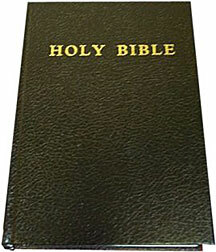 - Small Standard Text Bible with black vinyl board cover. 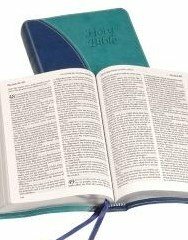 Quality sewn and bible paper with decorative head and tail bands; Bible Word List; Biblical Sketch Illustrations; Daily Bible Reading Scheme. (= 0907861210 / 9780907861218) Translation: King James Version. Size: 10 x 14cm. 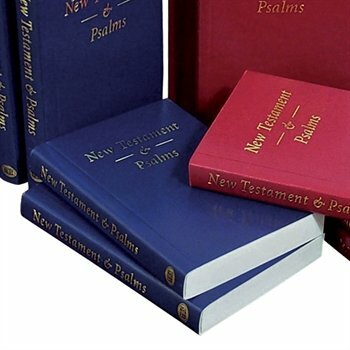 - Very small, low-cost newly re-typeset New Testament with Psalms in vinyl-covered paperback. Improved setting. 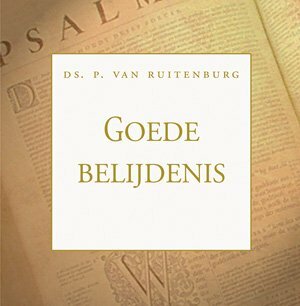 Ideal for missionary and evangelistic purposes. 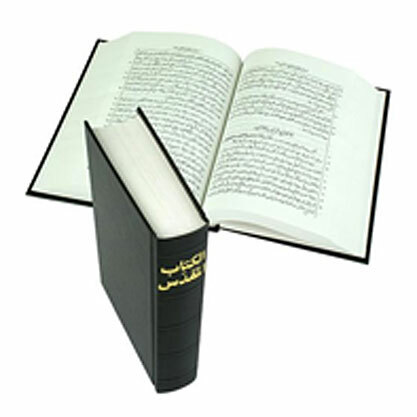 - Small Standard Text Bible with black board cover. 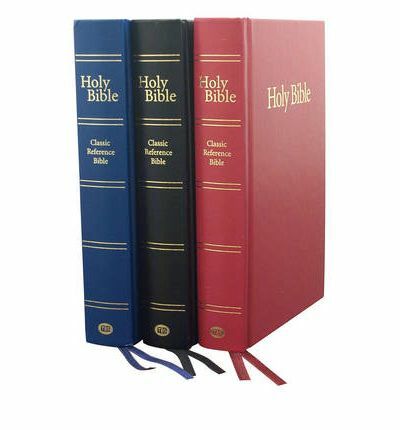 Quality sewn and bible paper with decorative head and tail bands; with Metrical Psalms; Bible Word List; Biblical Sketch Illustrations; Daily Bible Reading Scheme. (= 0907861326 / 9780907861324) Translation: King James Version. Size: 10 x 14cm. 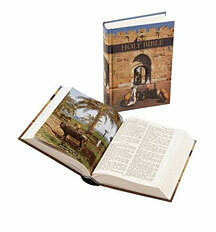 - A Centre Reference Bible; Medium size. 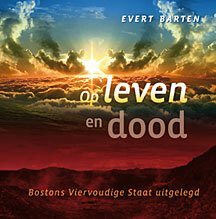 Vinyl board cover (standard hardback). Suitable for church or missionary use. 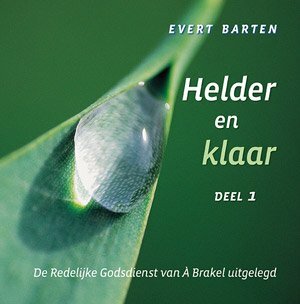 An ideal gift with presentation page. 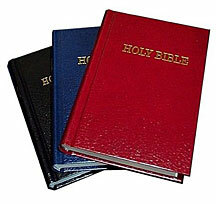 Self Pronouncing Text; Bible Word List; Daily Bible reading scheme; Eight Colour Maps and Gazetteer. 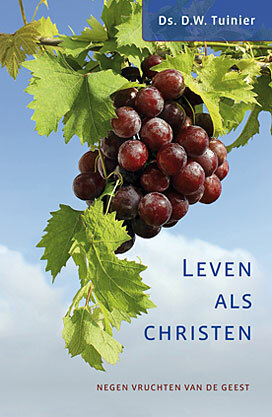 Translation: King James Version. Size: 12 x 18 cm. 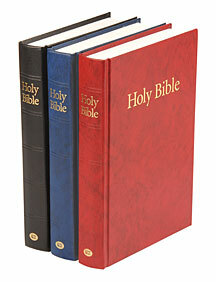 - Medium-size Bible without references in attractive two-tone, stitched, soft,luxury leather-grain finish. Distinctive clear text with good line spacing for optimum clarity and readability. Blue has silver page edges, brown has gilt. Size: 14 x 20 cm. 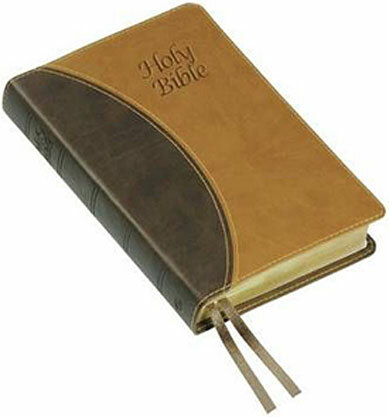 - Medium-size Bible without references in attractive two-tone, stitched, soft, luxury leather-grain finish. 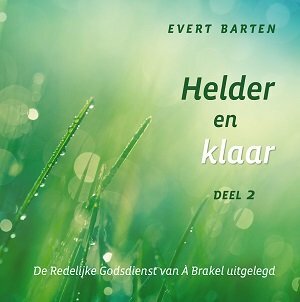 Distinctive clear text with good line spacing for optimum clarity and readability. Blue has silver page edges, brown has gilt. Size: 14 x 20 cm.